After a trip from Sydney that I can only describe as biblical, I arrived at the Autodromo Riccardo Paletti racetrack. 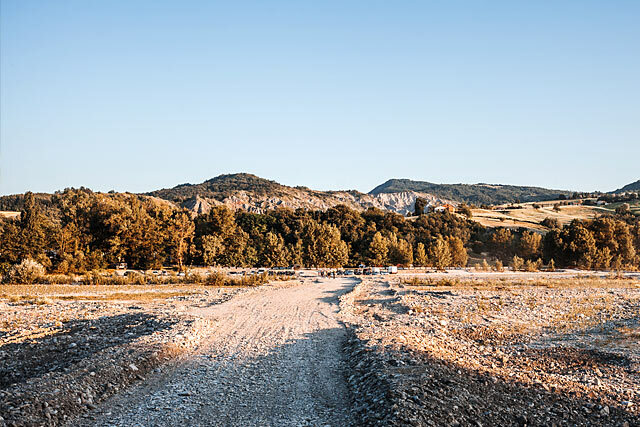 Located about 30 kilometres south-west of Parma, I was a little taken aback at its distance from the city itself. After all, people live in cities and it’s these very same people who tend to buy tickets to bike shows. The further you place the show away from the people, the less of them tend to come. 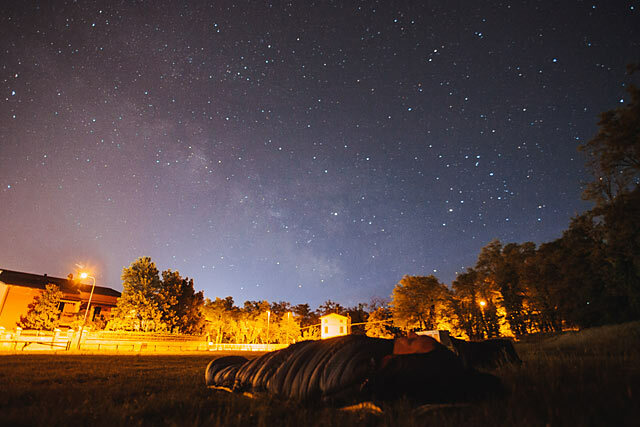 None the less, you couldn’t have hoped for a better location. Picturesque Northern Italian town with a castle. Cool river for swimming. A professional racetrack. And enough surrounding nature to mean that a decent flat track oval and an extensive enduro course could easily be cut out of the surrounding landscape with nothing more than a tractor and a bunch of perimeter tape. And unsurprisingly, the people came. Bored of the live band? 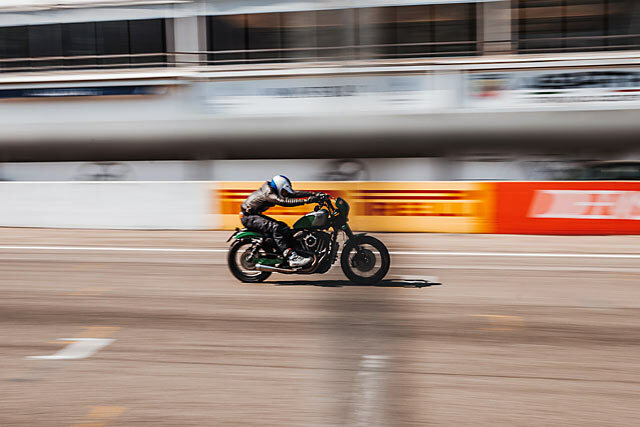 A five minute wander to the sprint races should see you right. Bored of the sprint races? 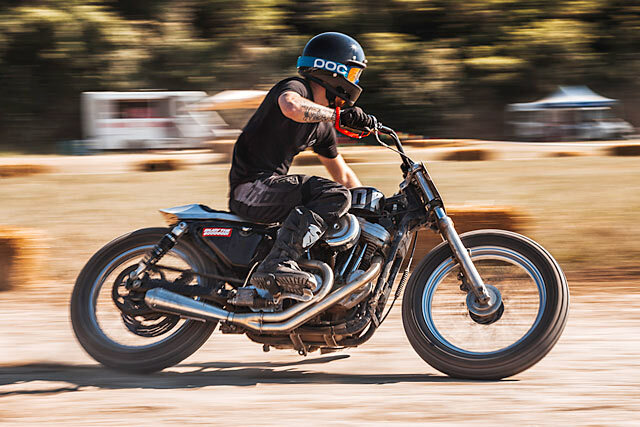 A five minute stroll to the flat track will change things up. Flat track dust too much? 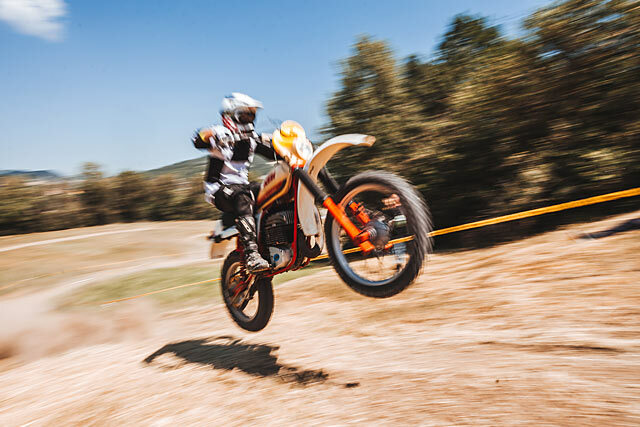 Time for a little enduro, maybe? Whatever the case, you get the idea. 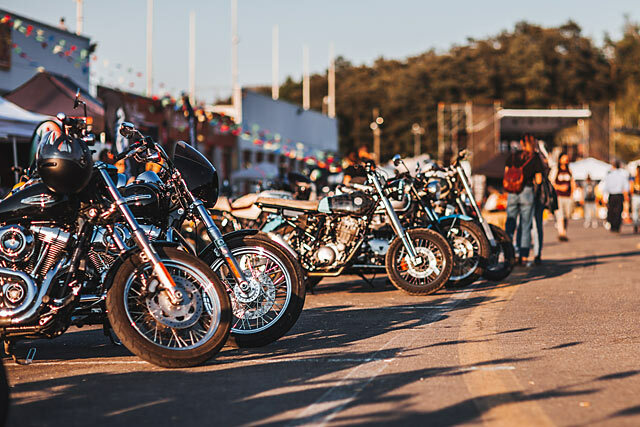 Sure, Wheels & Waves offers a similar selection of goodies but here at Wildays, it’s all available within a stone’s throw. 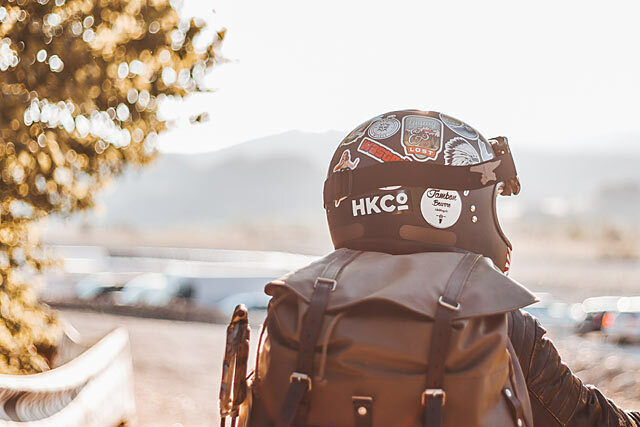 No need to ride across any international borders or travel any great distances. It’s all right here. 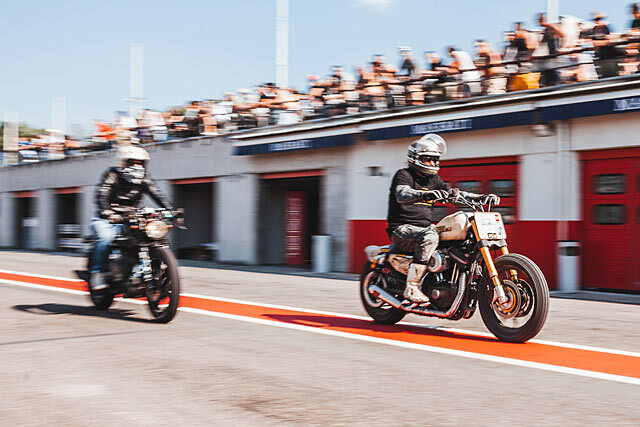 The brainchild of Marco and Phonz from Italian custom shop Anvil Motociclette and supported by a few local business visionaries, the show screams ‘informed moto fanaticism’ from the rooftops. These aren’t businessmen looking to make a quick buck. Hell no. These are riders who have sat down with a blank piece of paper, written ‘Ultimate Bike Show’ at the top of the page and then gone to town. My personal highlights? 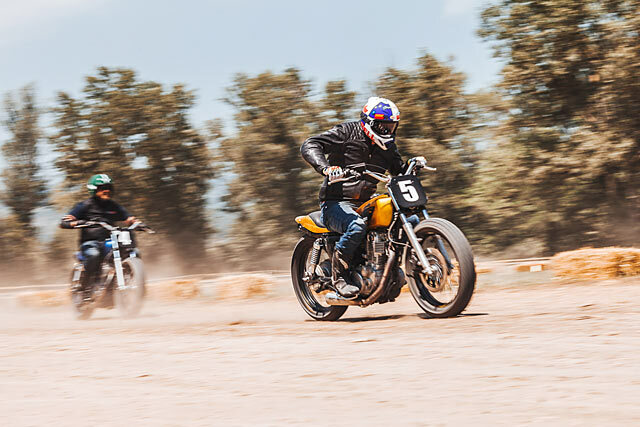 Tearing around a flat track on a hired Yamaha SR400 from the Di Traverso Flat Track School. Campfire laughs with the Vagabund boys on a Saturday night. 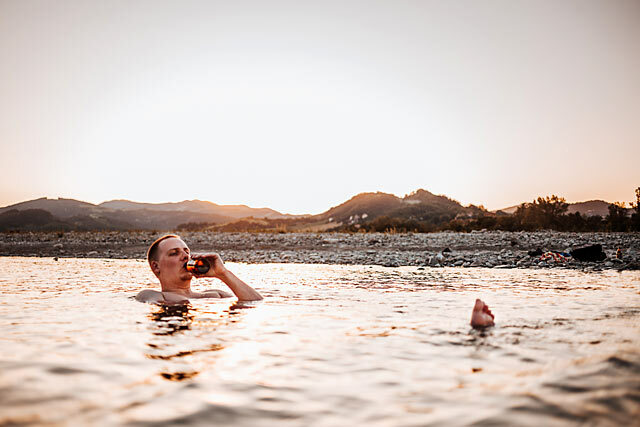 Cool beers in the cool river at sunset on the show’s last day. Midnight V8 donuts with crazy Daan from Moto Adonis. And eating like a king with Dopz from Emporio Elaborazioni. Note to self: barbecued goat meat on a stick is the best beer food ever. 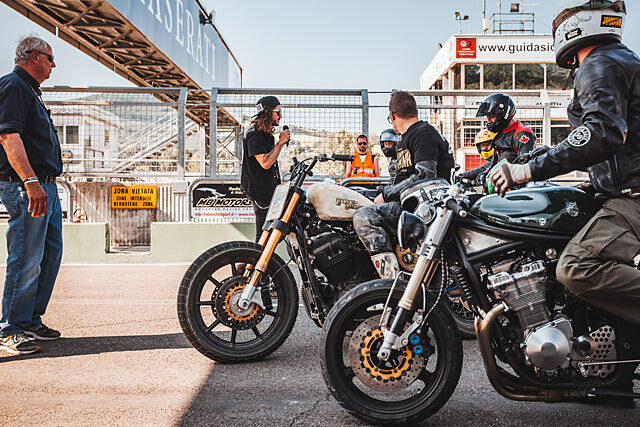 And the sheer amount of moto bambinos tearing around the show was a heart-warming testament to the future of the scene, at least in Italy. The Italian’s attitude towards the younger generations hopping on bikes seem, to me at least, to be passionate, well-intentioned and delightfully free of that over the top ‘Health & Safety’ mindset that seems to pervade shows in the US, UK, and Australia. Father and unlicensed young daughter practicing their riding in a quite corner of the show? Not a problem. And their wasn’t an over zealous security guard with a chip on their shoulders to be seen for miles. The team behind the show has just announced that it’ll be on again in May 2018. We’re positively champing at the bit to get over there again. Take it from us, if you have the chance to make it to the next show, you’d be a total barbecued goat not to come along. 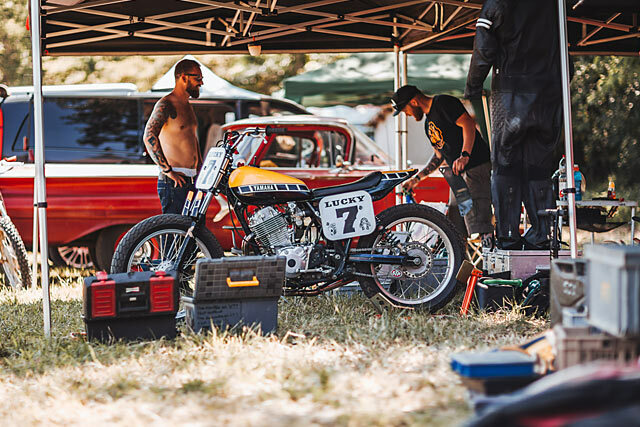 Just look for the Aussie in the Pipeburn t-shirt with the smile and the liberal coating of flat track dust and make sure you say hello. 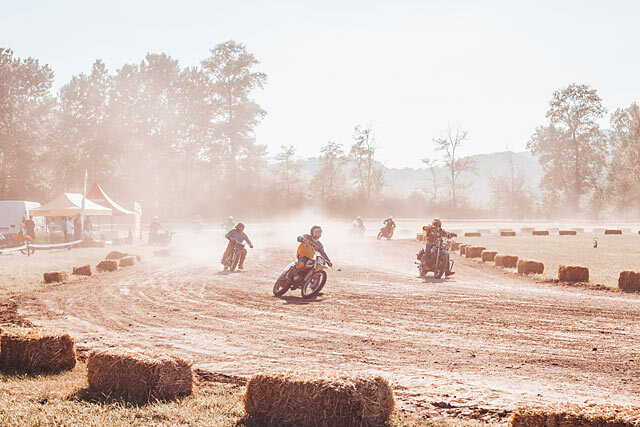 How many shows can boast of their own flat track? The fine print: In an effort to keep things as legit as possible, we feel it’s best to mention that the Wildays team paid for our trip to Parma to visit the show. Rest assured that if the show wasn’t up to scratch, we’d have no problems in saying just that. We will always endeavour to give you the best reviews possible without fear or favour; Northern Italians bearing delicious Parma ham and hard cheese included.